They all believe they can! When the holidays seem to be getting longer and the kids do not know what to do with themselves, give yourself some time out and the children some fun time to express themselves through art. 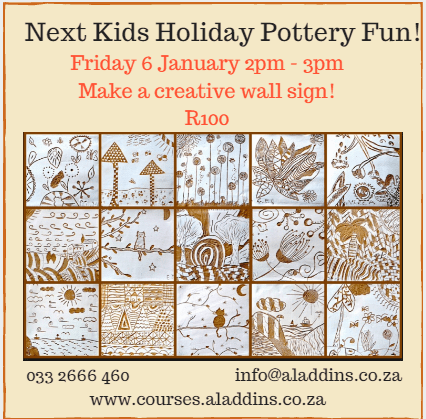 Children's Pottery Workshops are for 2 hours, and here time flies! Classes are suitable for ages 6 upwards. Smaller than 5 years have to be accompanied by a parent, who will definitely end up doing most of the work! We also find it is better to plan a shorter lesson with the littlies - their attention span is still developing. Make a creative wall sign! ​Create a group and book your own class, or pop into our Craft Cafe between 11am and 3pm. Take a look at our slideshow for photos of our awesome fun!!! ​And click here for more info on the Technical Stuff... How It Works!